Percutaneous transpedicular vertebral body perforation (hereinafter vertebral body perforation [Ogihara, Pain Clinic 29:105–112, 2008; Ogihara et al., J Minim Invasive Orthop Surg 64:29–36, 2012]), also referred to as vertebral body decompression as reported by , is performed to treat pain caused by osteoporotic vertebral fractures of the thoracolumbar spine and other associated symptoms. This procedure can be performed safely and easily and is expected as a therapeutic method that will provide dramatic pain relief immediately after the surgery (Ogihara and Akamine, J Musculoskelet Pain Res 5: 149–155, 2013); however, the mechanism underlying the pain relief provided by this procedure remains unknown. 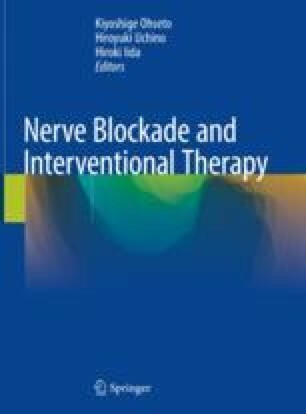 The method of vertebral body perforation under bidirectional fluoroscopy-guided method and local anesthesia is described.